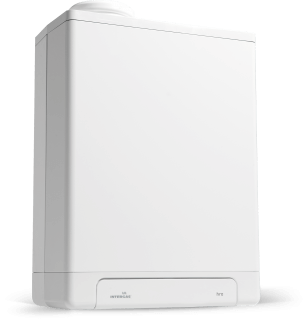 The Intergas Compact HRE OV open vent boiler is a central heating-only boiler for use in an open vented system with a header tank. An ideal replacement for existing open vent boilers, it is designed to supply your home with all the warmth you need. The constantly modulating fan automatically adjusts the capacity of the boiler to your requirements, making sure no valuable energy is wasted. A hot water storage cylinder can also be added, enabling the boiler to provide hot water as well. Watch our 'inside the HRE' video now! The unsurpassed high-efficiency of the Intergas Compact HRE OV ensures economical operation, year after year. Using an Intergas Compact HRE OV high-efficiency boiler means you are delivering a significant contribution to the care for the environment. Thanks to the economical operation of the Intergas boiler a considerable saving in energy consumption is achieved. A switch-mode power supply reduces the so called stand-by losses to almost zero. This means that while the boiler is awaiting its call for heat, only a negligible amount of electricity is used. Good news for your electricity bill! Not surprisingly all Intergas Compact HRE OV boilers have been given a SEDBUK A rating, the highest efficiency band available. The heat exchanger forms the heart of every high efficiency boiler. That is why Intergas over many years has given so much expert attention to this specific component. Intergas is now one of the market leaders in innovative heat exchanger design. The heat exchanger of the Intergas Compact HRE OV high-efficiency open vent boiler has over a period of more than 10 years proven to be extremely reliable. The integrated copper central heating circuit is insensitive to water quality, a big advantage for open vented systems as this increases longevity and longterm reliability.